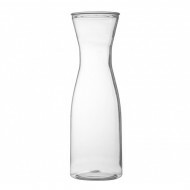 Spark your imagination with our wide range of plastic pitchers and carafe. Whether you want to serve fruit juice, iced tea, soft drinks or a vintage wine, you can choose from our amazing online collection. We have different types of affordable, beautiful, reusable and stylish pieces to suit your taste. 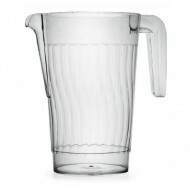 Party planners can also select from a range of plastic pitchers and carafe in a great range of colours and designs. Contact us now. 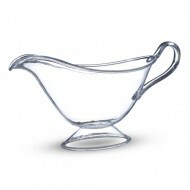 Beautiful clear, reusable plastic pitcher to enhance the look on your decorated elegant set tables! ..
1 Per Pack 1 Liter Plastic Jug ..
Beutifull clear, reusable plastic wine carafe would be perfect for any occasion for your guests to p..
Beutiful clear, reusable plastic gravy boat would beperfect to fill your table with the elegant and ..